Rock People to the Rescue! 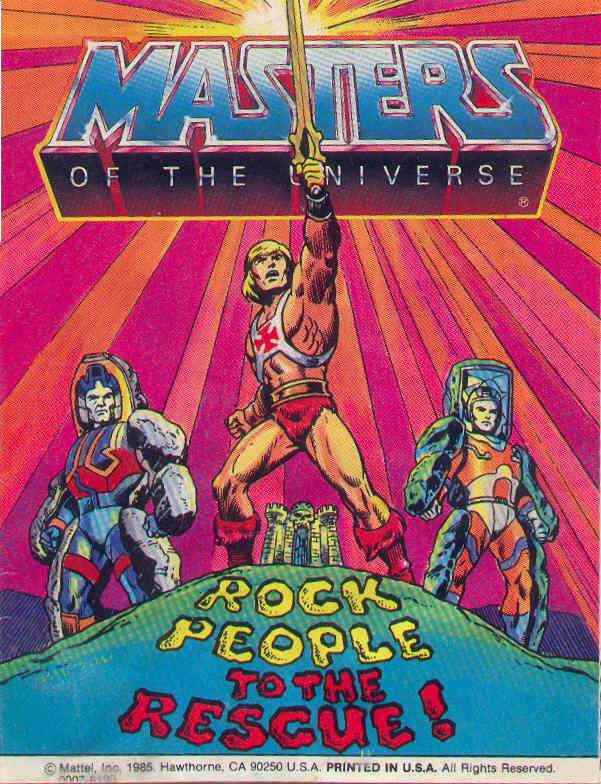 is a 1985 Masters of the Universe mini-comic written by Gayle Gilbard and Larry Houston and illustrated by Houston and Bruce Timm. Here, Stonedar and Rokkon arrive on Eternia, meet He-Man, and are attacked by Webstor, Kobra Khan, and Skeletor. Oh dear – it’s the old get-hit-in-the-head-and-get-amnesia plot again – second only to the let’s-kidnap-Teela plot in terms of dead-horse-beating. At least here, the remedy isn’t a second blow to the head. Webstor hits his head on a rock, too – does he get amnesia? Of course not (he’s actually pretty sharp immediately afterward). Then amnesiac He-Man has a crisis of conscience, trying to decide whether to save Webstor or Orko – but Webstor is holding Orko, so why not save both and sort it out later (and how would he have gone about saving Webstor but not Orko anyway?)? At least this old amnesia saw gets resolved midway through the comic so we can move on to a nice little He-Man-Skeletor showdown. 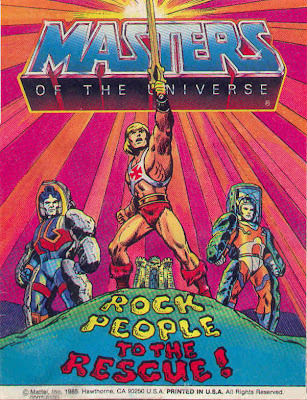 Alas, the writers aren’t quite finished with their antics, as there’s a nonsensical moral at the end about trust and finding your true friends – okay, yes, it’s good advice, but He-Man just met these rock people five minutes ago. And while we’re on the subject, I would love to know exactly how the rock people propel themselves when in boulder form. Fortunately for this comic, the Houston-Timm art is excellent. The layouts on page 3 aren’t well done, but on the whole, the figures and action are excellent, and the fight with Skeletor (culminating with page 12) is a highlight. This mini-comic does some tired and stupid things, but the art goes a long way toward redeeming it. *This seems one grade too high, but I’m sticking with it. Maybe I’m getting desensitized to bad writing.